At long last, YouTube Music has launched in India with a free ad-supported option, as well as its Premium plan at Rs. 99 ($1.42) per month. That’ll see it compete with the likes of international heavyweights Spotify (which went live there last month) and Apple Music, as well as local incumbents like JioSaavn, Gaana, and Wynk. 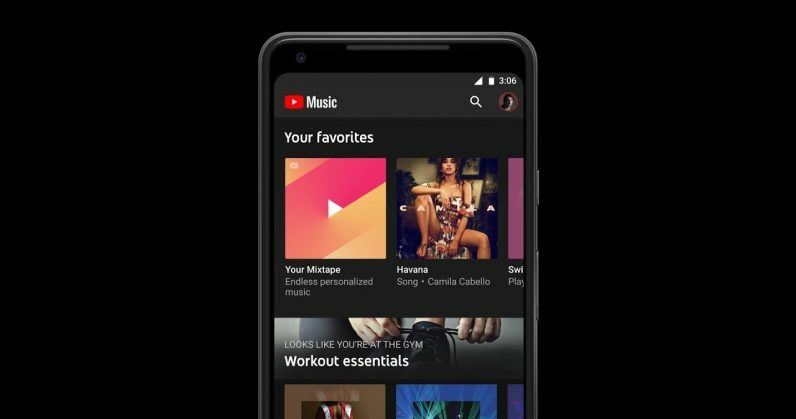 YouTube Music Premium offers a three-month free trial, after which your subscription fee will kick in. The company’s also launching YouTube Premium for Rs. 129 ($1.85) per month: it unlocks access to ad-free YouTube and YouTube Originals, along with YouTube Music. With 245 million monthly active users across the country, India is one of YouTube‘s biggest markets – and that gives it a major advantage over its competitors. A report from App Annie published earlier this year suggests that YouTube is India’s top video streaming app, and another report from Nielsen published in 2018 noted that it’s the country’s top source for streaming music. However, the challenge for the company is turning its massive user base into paying customers. While the country offers the cheapest mobile data plans on earth and is home to numerous digital payment services, many people who are coming online for the first time in India aren’t yet used to paid subscription plans for streaming content. As in other countries, YouTube is talking up its localized playlists and music videos to woo customers. It’ll be interesting to watch these services duke it out for the top spot in this fast-growing market. To get started, visit youtube.com/musicpremium, or download the YouTube Music app for Android and iOS.